Just 13% of the 50 million metric tons of e-waste produced last year was recycled, and the amount of e-waste we create is growing into a literal sea of electronics. Surprisingly, one of the oldest building materials known to man might be able to help. A recent article in Fast Company showcases a great new product that will make electronics recycling much easier: the wooden computer chip. Researchers at the University of Wisconsin have created a biodegradable, wood-based computer chip that can perform as well as the silicon-based chips currently in your smartphone. Communications chips are the first to get the wood treatment, but future development will likely expand the wood base to more chips. The bulk of these chips uses a wood-like cellulose nanofibril (CNF) compound as its base with just a few other materials set on top. CNF minimizes the amount of toxic materials in the chip and will hopefully be expanded into more components. 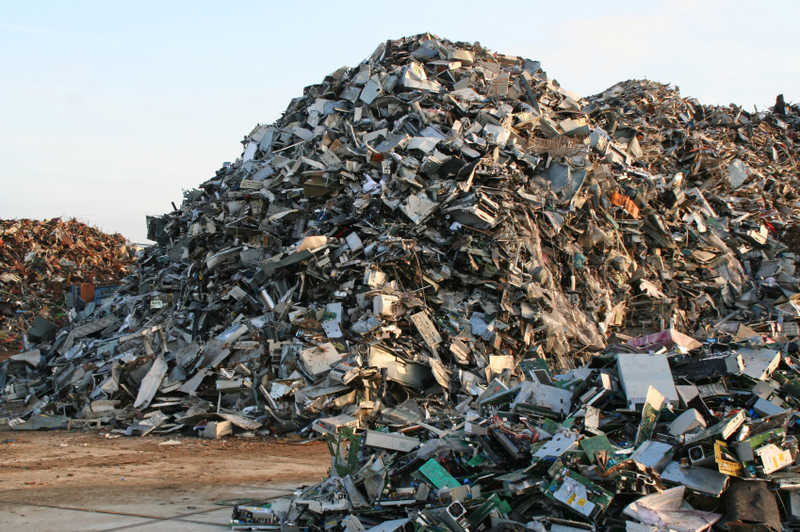 Today, we still need a lot of e-waste recycling infrastructure to support all of our electronics. There’s no tossing electronics into the regular recycling bin or the compost pile because the chips and other elements still have toxic substances such as gallium arsenide. Our electronics also have toxic materials in batteries, casings, and more, so your phone won’t safely biodegrade on its own. The new wood chips themselves, however, “are so safe you can put them in the forest and fungus will degrade it. They become as safe as fertilizer,” according to Professor Zhenqiang (Jack) Ma. CNF chips would simplify computer disposal and even allow e-waste recycling companies to rely on natural processes to manage this waste. It could be a lot safer for workers to get out those hazardous components by breaking the chip down beforehand. Easier access to the heavy metals would improve their recovery rate, speeding up the recycling process. A rise in eco-friendly plastics and batteries made with wood fibers means we’re on the right path for better e-waste recycling and a broader computer disposal that’s good for the local environment and the planet. Will Your Next Phone Feature Wooden Chips? Every year new smartphone models come out and people rush to upgrade. This has created a short lifecycle for many consumer electronics and leads to a lot of older models entering the e-waste recycling system. We tend to replace smartphones every one to two years, creating a lot of electronics and e-waste recycling demand. By switching to wooden chips, the United States could remove much of its waste from landfills and even make those phones accidently tossed a little safer. Silicon Valley isn’t ready for a full adoption of the wooden chip because it currently costs more to make than you standard silicon chip. It’s possible to see a wooden revolution when it becomes easier to manufacture or if market pressure makes other materials more expensive. Click here to read the full Fast Company article and learn how your phones could become more eco-friendly in the future.